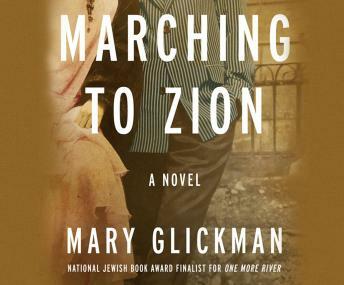 Marching to Zion is the tragic story of Minerva Fishbein and Magnus Bailey, a charismatic black man and the longtime business partner of Minerva's father. From the brutal riots of East St. Louis to Memphis, Tennessee, during the 1920s and the Depression, Marching to Zion is a tale of passion, betrayal, and redemption during an era in America when interracial love could not go unpunished. Readers of Mary Glickman's One More River will celebrate the return of Aurora Mae Stanton, who joins a cast of vibrant new characters in this tense and compelling Southern-Jewish novel that examines the price of love and the interventions of fate.